The knee is an incredibly strong joint, supporting multiple times your weight every time you sprint, jump, or even just walk down the stairs. Unfortunately, this stress makes the knee more prone to damage than any other joint in the body. If you’re experiencing knee pain, recovering from an injury, or just not feeling as stable as you used to, then a good knee brace can provide extra support and assist healing. We’ve picked out the 7 best knee braces available right now for a variety of needs and uses, from relieving arthritis pain to aiding recovery from serious injuries. To learn more about knee braces in general, see our buying guide below, which covers topics such as knee brace types, fit and more. Read more about our methodology. 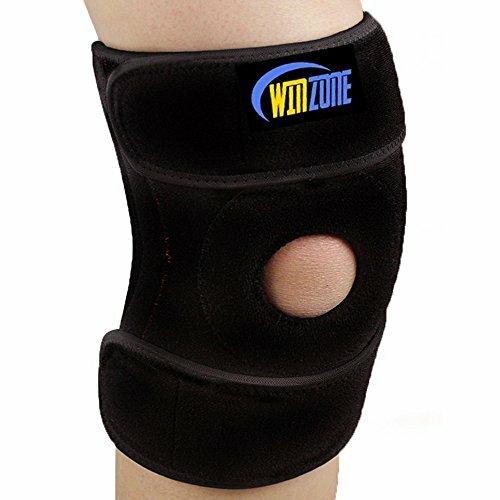 The Winzone brace is a great wraparound design that is comfortable to wear, fits neatly under clothing, and won’t slide around on your knee during daily wear. Its dual side stabilizers and open patella design provide great support as well. For a budget-friendly compression brace, you’d be hard-pressed to do better than the Copper Aid sleeve. Its breathable, moisture-wicking fabric is comfortable against the skin and dual silicone gel strips keep it securely in place during rigorous activity. The Ultra Flex Athletics compression sleeve provides excellent all-around support for a wide range of uses including running, sports, and arthritis relief. 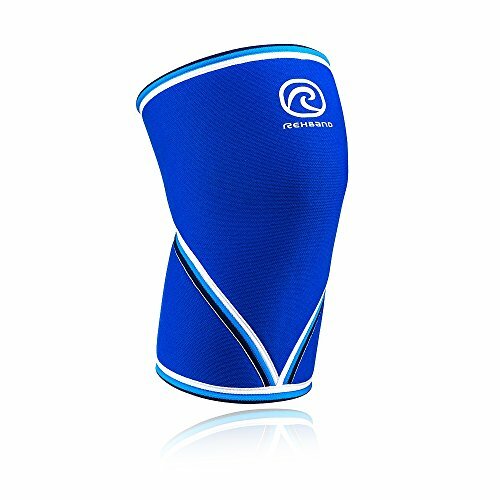 Its comfortable, breathable elastic material offers suitable compression for improving joint stability and preventing swelling and inflammation. If you need a wraparound brace but find other options too expensive, then the highly affordable Bracoo knee support is a great choice. Its reinforced patella stabilizer ring secures wobbly kneecaps and the vented design keeps you cool and comfortable. Hinged braces provide strong bilateral support for users recovering from knee surgeries and ligament tears, and the over-built Shock Doctor 875 Ultra is our top choice for those who need the most protection they can get from a non-custom brace. The first factor to consider when looking at knee braces is what you need it for, which will determine what type of brace you need. For general daily and athletic use and relief from mild arthritis pain, a simple compression sleeve is an effective and affordable option. Heavy lifters, by contrast, will benefit from thicker and more over-built compression sleeves designed to insulate and warm the joint. Buyers with mild to moderate arthritis and knee cap problems should look at a wraparound brace with an open patella design, as this stabilizes the knee cap and the straps can be adjusted for a custom level of compression. For the highest amount of stability and support for recovery following surgeries and more serious ligament injuries, a hinged knee brace is recommended. There are four primary ligaments in the knee: the MCL located on the inside the leg, the LCL on the outside of the leg, the ACL in front of the knee, and the PCL behind the knee. These connective tissues are vulnerable to sprains and tears during activity where the knee can be accidentally moved in an unnatural way. Other problem areas are the patellar tendon below the kneecap which can become inflamed, and the meniscus – the C-shaped cartilage discs that cushions the knee – which can tear. A good brace can help with recovery following an injury, but it can also prevent injuries by limiting unnecessary movements that stress the joint. Even a simple compression sleeve can ward off sprains and tears, although a hinged brace offers the most stability for this with the added bonus of preventing hyper-extensions. Nonetheless, be mindful that no knee brace makes you injury-proof, and it is up to you to decide what level of protection you need for the activities you are engaged in. As you will likely be wearing a knee brace for extended periods, perhaps even all day, you naturally want something that will be comfortable. Compression braces are generally the lightest, thinnest, most breathable, and easiest to wear under clothing and on your skin. As braces go up in complexity, they may become more difficult to wear for longer periods, with hinged braces being the heaviest and bulkiest due to the external stabilizers and the extra support they provide. Even the most expensive knee braces aren’t exactly big ticket items, but price is always a consideration when shopping around. 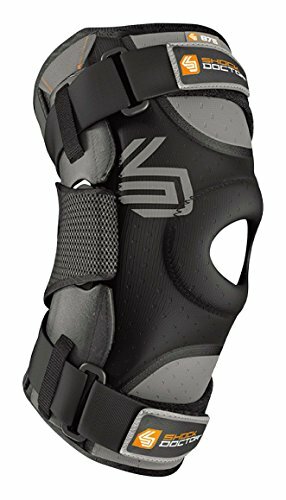 From simplest to most complex, knee braces come in at around $10 for straps and basic compression sleeves (although nicer sleeves typically go for between $10-20), $12-$30 for wraparound braces, and anywhere between $35-60 for most of the sturdier hinged braces. 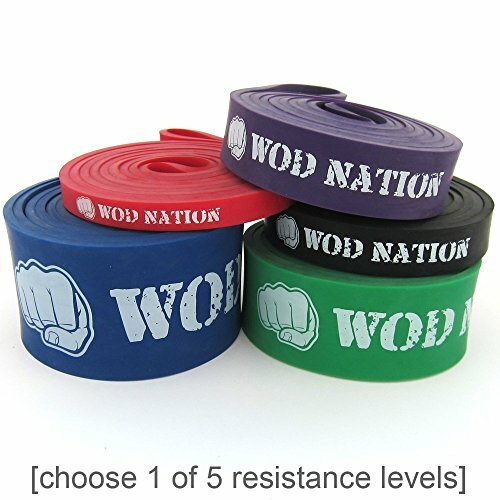 One notable exception to these price brackets are compression braces designed for lifting weights. These are much thicker and sturdier than standard sleeves and generally cost $35-40 per brace. These are designed to be bought and used in pairs, however, so expect to pay around $75-80 for two. For a comfortable wraparound brace that delivers all-around stability for athletic activities and relief from mild to moderate arthritis pain, look no further than the Winzone knee support. The Winzone brace features dual side stabilizers for added strength and its open patella design keeps the knee cap in place. Its strap system is very secure as well, making the Winzone brace very comfortable for all-day wear without it slipping down and having to be re-adjusted. Comfortable and easy to wear. The Winzone knee brace is made of soft neoprene material which is supple, flexible, and comfortable against the skin. The support is also low-profile enough to be easily worn under clothing. Stays securely on the knee. The simple yet sturdy strap system keeps the Winzone brace securely on your leg, even during athletic activities or when worn for long periods of time, so that it is not slipping and sliding around on your knee and requiring frequent re-adjustments. 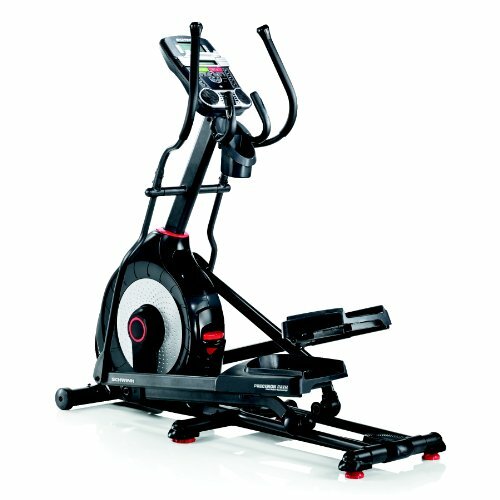 Dual size stabilizers provide extra support. Built-in dual size stabilizers are a nice addition to the standard wraparound design, offering extra joint support that many similar braces do not provide. Although not a hinged brace, the Winzone nonetheless delivers more much-needed stability than generic wraparound models. Open patella design. The support sleeve’s open patella design keeps the wearer’s knee cap firmly in place, preventing it from unnecessary movement. This makes the Winzone brace a great option for those suffering from patellar instability or previous knee cap injuries. Doesn’t offer as much compression as some braces. While the Winzone brace provides excellent support for general athletic use, it does not compress and insulate the knee as well as some. Buyers who desire more compression might be better-served with a sleeve built for this purpose. The compression sleeve from Copper Aid is a great all-purpose knee brace that doesn’t break the bank. Its stretchable elastic fabric breathes well and wicks moisture from the skin for comfortable wear throughout the day and during intense sporting activities, and its dual silicone gel strips at the top and bottom of the sleeve keep it securely in place on your leg. Excellent value. At around $10, the Copper Aid compression sleeve delivers a lot of value. This knee brace is an excellent choice for users with basic needs or first-time buyers who aren’t completely sold on the need for a knee brace and want to try out a good one for cheap. Comfortable on the knee. The sleeve features a 3D-woven elastic yarn material which is breathable and wicks moisture away from the wearer’s skin. This allows for comfortable all-day use and ease of wear during intense sweat-inducing sporting activities. Remains securely in place. Dual silicone gel strips located at both ends of the Copper Aid compression sleeve do a great job of keeping it in place on your leg and preventing it from slipping down after long periods of wear, which can be an annoying problem with some braces. Great support for a compression sleeve. For a rather basic compression brace, the Copper Aid sleeve is sturdy, well-made, and provides very good insulation to the knee. This compression is vital for keeping the joint sufficiently warm and warding off swelling and fluid buildup. May bunch up a bit during certain activities. The Copper Aid sleeve’s silicone gel strips do a good job of keeping it from sliding around on your knee, but some users noted that the brace can bunch up in places during heavy activities where the wearer’s knee is frequently flexing. A compression sleeve, being designed for general use and mild pain relief, is the most common type of knee brace available today and is recommended for most average users. By placing compression around the knee, these sleeves keep the joint warmed up, can prevent swelling and fluid buildup, and provide some additional weight-bearing support. Compression braces are highly versatile and are suitable for a wide variety of athletic activities such as running, lifting, and jumping, and can also offer some relief from regular pains associated with mild to moderate arthritis. 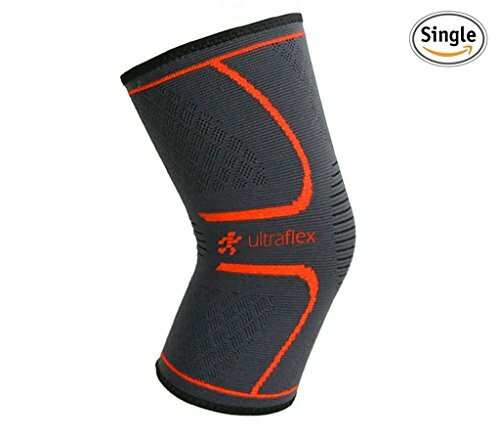 The Ultra Flex Athletics compression sleeve is a great general-use knee brace that will suit the vast majority of users looking for improved stability and joint support for walking, running, sporting, and even for simple daily wear around the house to relieve regular arthritis pain. The nylon and Lycra blend fabric is lightweight and breathable, and the Ultra Flex Athletics brace even offers additional patella support for people suffering from knee cap problems. Great all-around knee brace. The Ultra Flex Athletics sleeve is a highly versatile compression sleeve that checks the boxes for most of the activities one would want a knee brace for, from running to general daily wear. Comfortable, breathable material. The brace is made from an elastic nylon/Lycra blend fabric that is flexible, breathable, and comfortable against the skin during extended periods of use. The material is also thin and lightweight for easy wear underneath a pair of pants if desired. Provides good support and joint stability. The brace provides excellent compression and joint insulation for a pull-on sleeve, and even features extra support in the kneecap area. This provides some additional pain relief and stability for users dealing with knee cap issues. Stays in place on the knee. Like the Copper Aid sleeve, this one from Ultra Flex Athletics features wavy silicone strips on the inside of both leg openings that secure it comfortably against the skin so that it stays in place and doesn’t easily roll or slide down. Not the best choice for those with large thighs. Users with large thighs reported that this compression sleeve, when sized for bigger legs, felt too loose around the knee to provide sufficient support. Buyers with larger quadriceps, such as lifters, may want to look for a more suitable brace. Spandex material may cause an allergic reaction for some. The compression brace’s spandex fabric is made from a blend of nylon and Lycra which, while not an issue for most people, is something to be aware of for individuals who are allergic to these materials. Designed in Sweden, manufactured in Europe, and approved by two international weightlifting foundations, the Rehband 7051 compression sleeve is built heavy for athletes who lift heavy and want the best knee support available for this purpose. This brace features an anatomical design that forms to the user’s knee extremely well, and its thick padded construction is very comfortable and delivers excellent warmth and support to the joint. High-quality European construction. 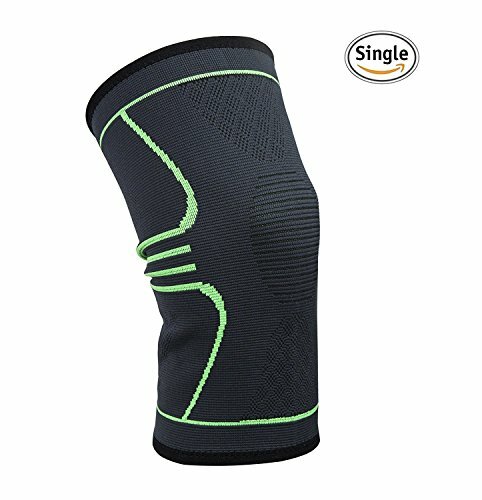 The Rehband knee sleeve is designed in Sweden and made in Europe, and this shows in its excellent over-built quality. Its 7mm thick padded neoprene construction is very durable and made to last. IPF- and IWF-approved. This compression brace enjoys the approval of both the International Powerlifting Foundation and the International Weightlifting Foundation, and is the preferred knee sleeve of many professional and Olympic lifters around the world. Provides excellent warmth and joint insulation. The Rehband compression sleeve is made to insulate the knee and keep it warm during workouts, and does this exceptionally well. The thick padded foam provides more than enough heat to the joint to prevent stiffness that can lead to injury when the body is under load. Comfortable and form-fitting anatomical design. The Rehband 7051 features a patented ergonomic design engineered to conform to the human knee. This anatomical design is not only comfortable, but is very form-fitting which greatly adds to its excellent insulating and compression capabilities. Not designed to increase load. Bear in mind that this knee brace is designed solely to compress, insulate, and warm the knee joint. Its purpose is not to provide additional support for lifting more weight than you are already capable of, which can lead to serious injury. Considerably expensive. The price of this knee sleeve may cause sticker shock for some, especially considering that this brace is designed to be bought and worn in pairs. Nonetheless, the quality of the Rehband 7051 speaks for itself and is worth the cost for many. Requires more frequent washing than other braces. The vast majority of knee braces (including all of our top picks) are hand-washable, but the Rehband sleeve will require more frequent cleaning than most due to the fact that its non-breathable design is made to keep the knee warm and will cause – and collect – more sweat. Wraparound knee braces feature straps that close around the leg above and below the knee cap. This design generally provides more stability than compression sleeves and most have an open patella design that supports the knee cap and keeps it in place. This makes wraparound braces ideal for those with pain-inducing knee cap instabilities or users who are recovering from a patellar dislocation. Another advantage of a wraparound-style knee brace is that it can be adjusted to achieve the desired level of joint compression and comfort. The Bracoo knee support is a great all-purpose brace for arthritis, injury recovery, tendinitis, kneecap instability, and general joint pain. Its neoprene-blend material features perforated vents for keeping you cool during extended periods of wear and its reinforced knee cap support ring is great for providing relief from patellar instability. At less than half the price of many similar braces, the Bracoo support punches well above its weight when it comes to value as well. Comfortable vented design. The soft neoprene material and three-strap attachment system of the Bracoo brace are very comfortable, placing one strap behind the leg and one each directly above and below the knee cap for excellent support. Perforated vents also dissipate heat for more comfortable wear. Reinforced knee cap ring. Like most wraparound braces, this one utilizes an open-patella design intended to secure the knee cap and keep it in place. The Bracoo adds a padded stabilizer ring to the knee cap opening, however, providing even more support for wearers suffering from patella problems. Great value for a wraparound brace. 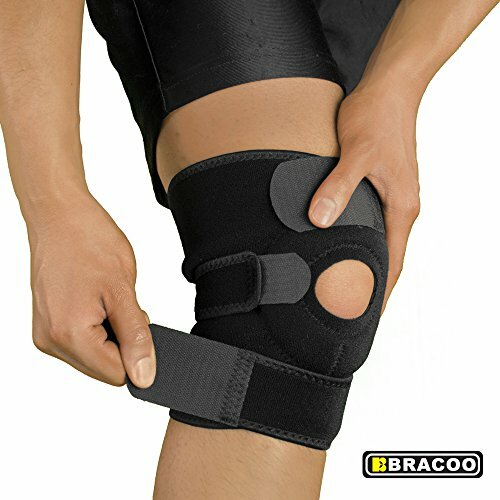 Coming in at around $12, the Bracoo knee support is an incredible value for a high-quality wraparound brace. This is a great option for budget-conscious buyers and for those who aren’t sure they need a wraparound brace and want to try one out cheaply. Not as secure on the leg as other braces. Some users, particularly those with thinner legs, noted that the Bracoo wraparound support is not as secure on the knee as they would have liked. As it is somewhat more prone to slippage than other models, the Bracoo brace might not be the best choice for intense athletic activities. Hinged knee braces are purpose-built for athletes who are recovering from surgery and from serious injuries such as ligament tears. These braces utilize external stabilizers to keep the knee from bending or twisting in a way it’s not supposed to, which can aggravate an injury or re-injure the joint before it’s fully healed. The rigid hinges also prevent knee hyper-extension and offload some of your body’s weight from the joint while still allowing safe leg movement. 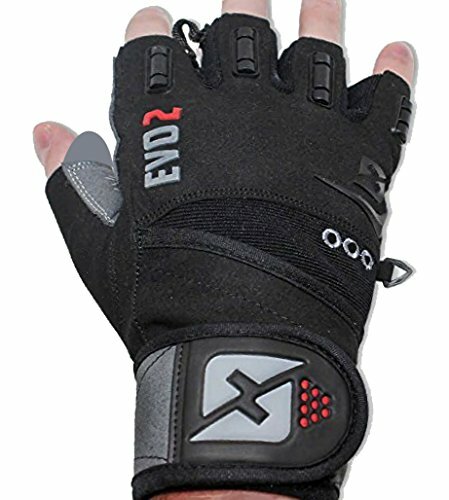 This style of brace is usually more expensive and bulky compared to other designs, but offers the highest level of support and protection. The rugged Shock Doctor 875 Ultra is a hinged brace that provides the maximum protection needed for athletes and others who are recovering from serious knee injuries. Aluminum hinges on either side of the brace offer excellent bilateral support for keeping the knee stable and preventing any unwanted movement that could re-injure the joint. Its quality materials and excellent construction also ensure that the Shock Doctor 875 Ultra will outlast even the longest recovery periods. Offers excellent bilateral and patellar support. Reinforced aluminum hinges keep your knee straight and prevent any unnatural movements, such as twisting or hyper-extension, that can aggravate an injury or cause a new one. The open-knee design and padded knee cap stabilizer ring also secure the patella for added protection. High-quality materials and construction. From the materials to the detailed stitching, the build quality of the Shock Doctor 785 Ultra is apparent right out of the box. The brace is comprised of durable cotton-blended and neoprene fabrics and the tempered aluminum bilateral hinges feel extremely sturdy. Comfortable and form-fitting on the knee. The brace has a curved design to conform tightly to the contours of your leg. 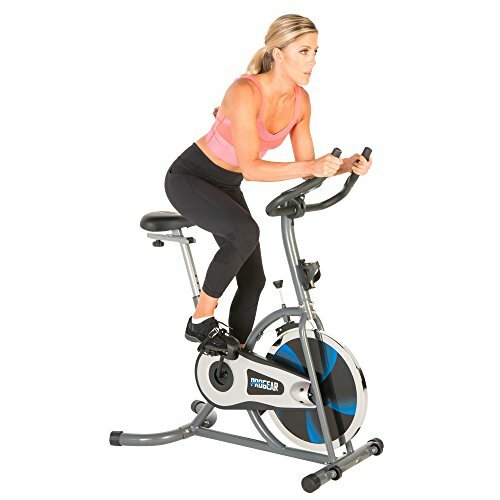 Elastic Lycra mesh on the back helps keep your knee cool in places where it tends to get the most sweaty, and the patented X-Fit system prevents the attachment straps from rubbing behind your knee for added comfort. Somewhat complicated strap system. The unique X-Fit strap system, while adding to the overall comfort of the brace, is a bit complicated compared to other designs. This is hardly a sticking point, however, and the comfort added by the X-Fit straps should outweigh any inconvenience for most users. Fairly expensive. The Shock Doctor 875 is certainly not a cheap brace, coming in at around $40 to $60 depending on size. Nonetheless, the brace is competitively priced compared to other hinged designs and the excellent quality and support it provides are well worth the cost. Knee bands are simple braces that strap onto the user’s leg right under the knee joint. This style of brace normally features a single strap which contains some sort of firm rubberized insert that places direct pressure on the patellar tendon located below the knee cap. This serves to reduce the inflammation and pain associated with patellar tendinitis, or “jumper’s knee,” a common overuse injury among athletes who perform large amounts of running and jumping. If you’ve been dealing with patellar tendinitis, or “jumper’s knee,” then a general-purpose compression or wraparound brace may not be the best choice. A band-style brace like the Mueller jumper’s knee strap is a perhaps better and more elegant solution. By placing pressure on the tendon directly underneath the patella, the Mueller knee band redistributes the forces that the tendon endures during running and jumping – and its single-strap design could not be easier to use. Excellent relief from patella problems. The Mueller strap is designed to provide relief from knee cap issues such as patellar tendinitis (jumper’s knee) and chondromalacia (runner’s knee), and it does this very effectively. The knee band keeps your patella tracking properly as well, potentially preventing further injuries. Simple and intuitive design. The single-strap band is dead simple to use and comes in one size that can fit almost everybody. Simply place the brace directly below your patella with the rubberized tubular insert against the knee, tighten it, and you’re ready for action. Highly affordable. 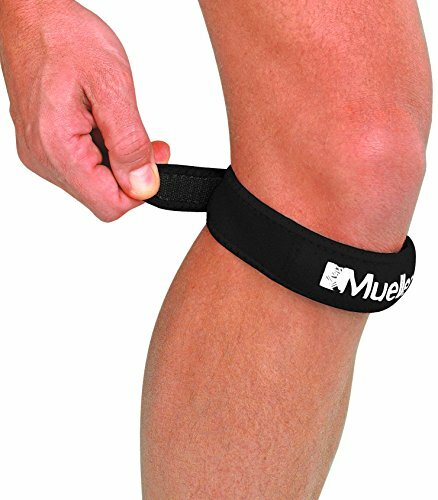 The Mueller strap is not only an elegant solution to multiple knee problems, but a highly inexpensive one as well: In the ballpark of $8, this knee strap can deliver a lot of relief for not a lot of money. Small and comfortable. Owing to its simple strap design, the Mueller jumper’s knee band is slim, lightweight, and can slip into a pocket when not in use. It’s also small enough to easily be worn under pants when needed. Not designed for full joint support. Knee straps are purpose-built to deal with patellar tendinitis, and while the Mueller band is very effective at this, it is not designed to provide any sort of patellar or bilateral joint support. A more traditional compression or wraparound brace would be more suitable for this type of general use. Strap design can be tricky to secure on slimmer legs. The single-strap design, while simple and easy to use, largely relies on the contours of the leg (specifically where the calf and knee meet) in order to remain in place. Users with slimmer legs or flatter calves may have a more difficult time keeping this knee band in place.